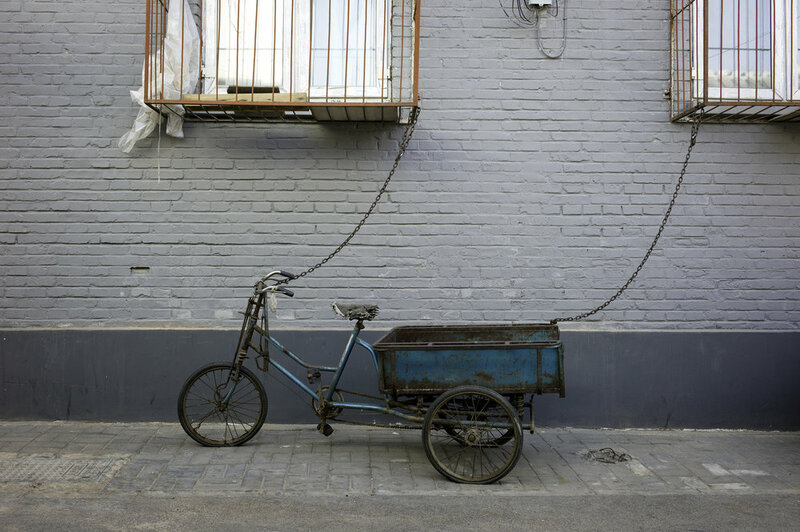 China was once known as the “Kingdom of Bicycles.” For decades, bicycles were used as the principal mode of transportation and were an essential part of Chinese lifestyle. 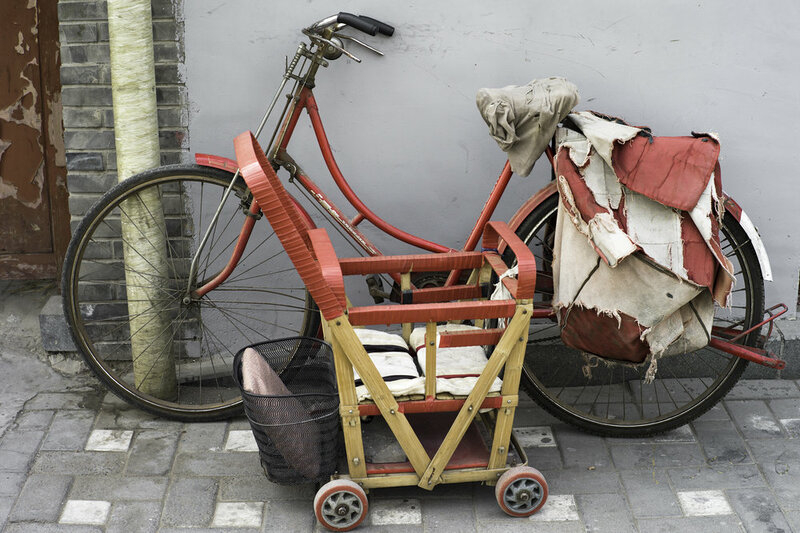 The bicycle was both a cultural symbol and a shared memory for many generations. 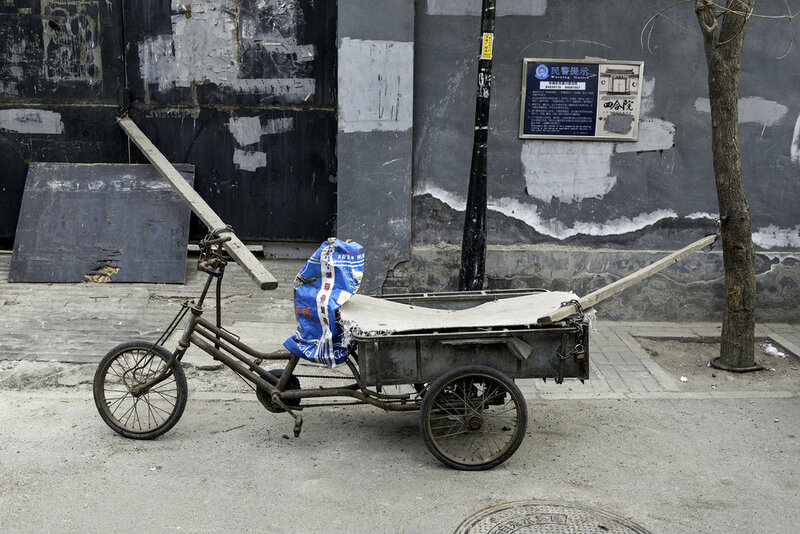 Since the new millennium, car culture has broken into China quickly and decisively. People who live in metropolitan cities, like Beijing, have grown accustomed to the convenience and comfort of a car and eagerly keep up with the latest models. Lost in the auto boom has been the humble, dependable bicycle. The once iconic mode of transit has been severely marginalized in the modern city. 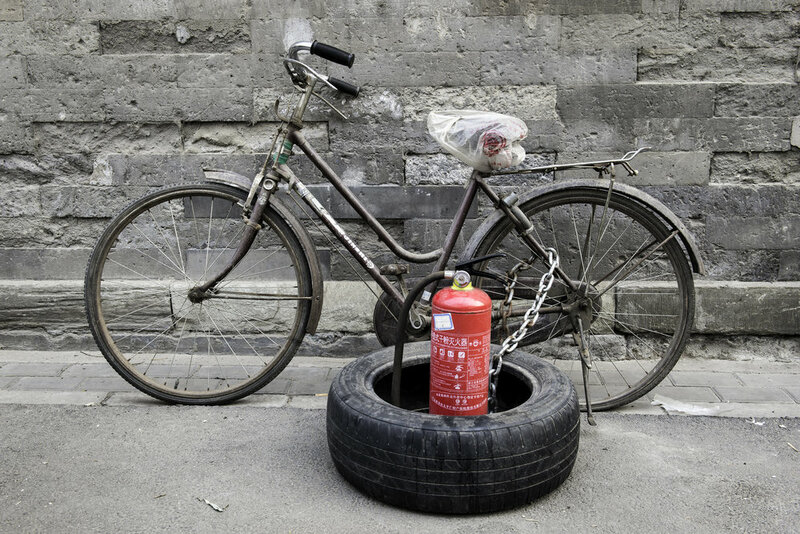 Mainstream Chinese society has lost interest in the bicycle as a way of getting around in favor of the more glamorous automobiles. 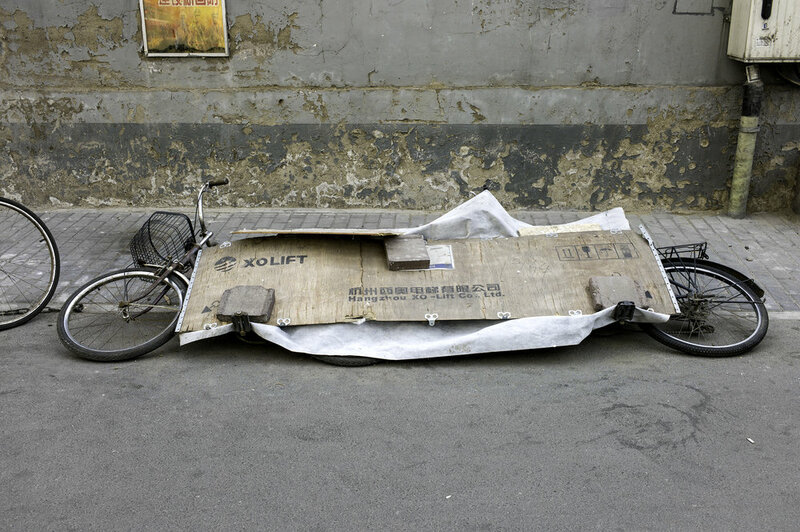 Rather than a universal cultural symbol, cycling has been reduced to a sign of the socially vulnerable groups in China. I began to wonder where all these bicycles are now. So, I set off in search of them, to discover where some of the once proud bicycles had ended up. Not surprisingly, many are dilapidated and rusty, having entirely lost their use. 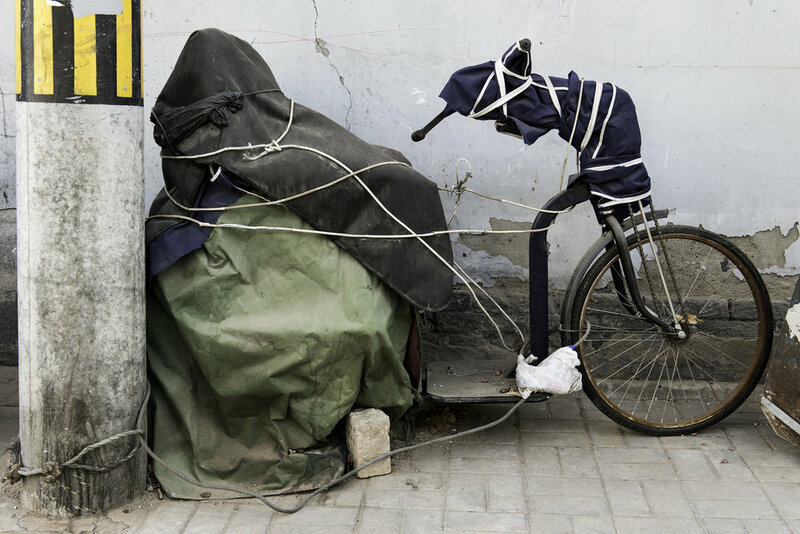 But some have managed to live on: locked, tucked-away, repaired, reconstructed, or randomly parked by their owners — all these approaches demonstrate their creativity and make-use skills. 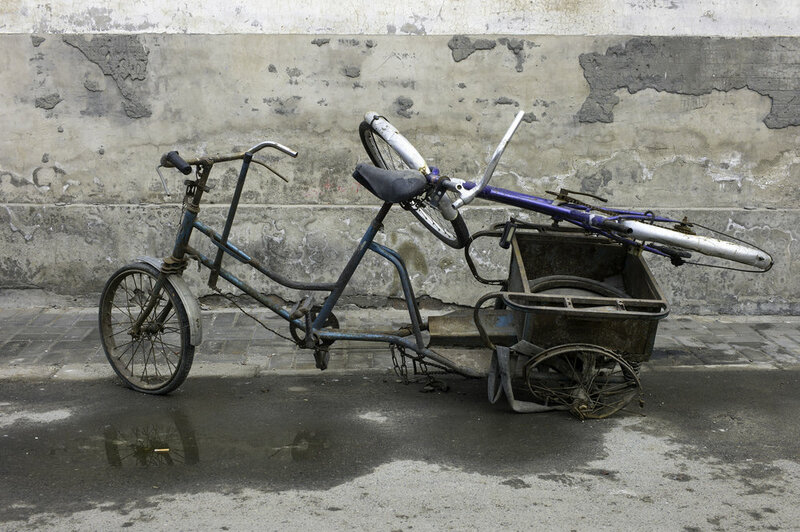 When I had the chance, I would ask the owners of some old bicycles how they felt about their fallen vehicles. Why did they hang on to these pitiful things? “Maybe one day I’ll make use of it,” they often replied. We all know that will never happen. But their answer reminded me of an old Beijing saying, “a dog’s life is better than no life.” The quote speaks for both the bicycles and their owners. 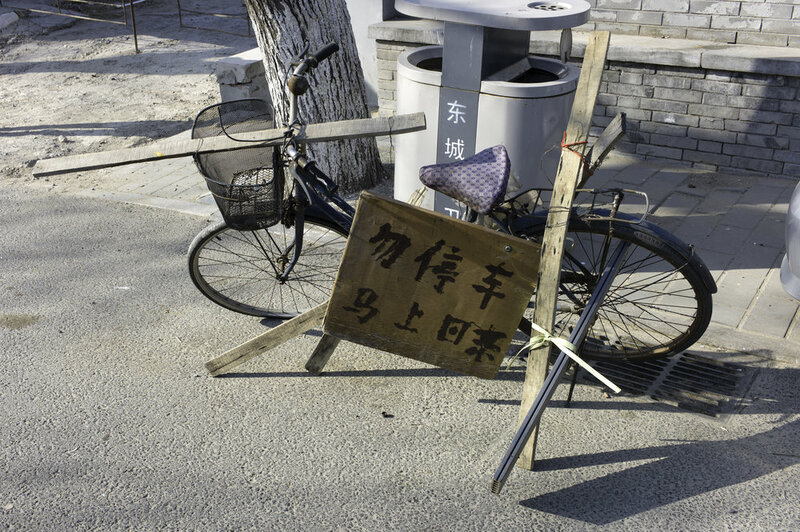 Bicycles are the witnesses and victims of a major societal transition in China. 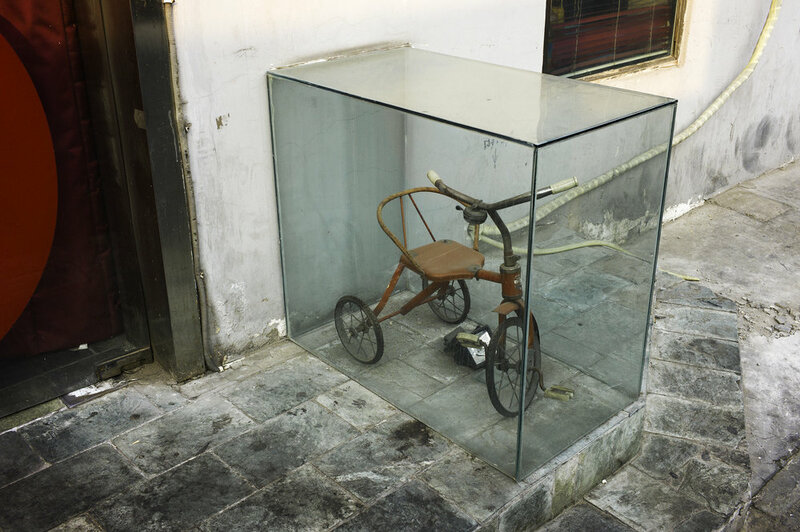 The present fate of these objects is a reflection of how the Chinese, as individuals, are coping with the seismic shifts that their lives, and their country, is undergoing every day.